Artist Oliver Jeffers gives readers an unprecedented and intimate window into his creative process, weaving his popular works with never-before-seen art and illustrations, alongside his personal story of how he came to art, his love of books, and his bookmaking, fashioned from his personal sketchbooks. This dynamic visual biography is Jeffers's personal chronicle of an artist who blends his love of creating stories with his love of art and his infectious charm, and is a must-have for art lovers and bibliophiles both young and old. Oliver Jeffers takes a dive into Oliver's own origin story, inspirations, art evolution, and passion for storytelling: from growing up loving art and creating stories as a young boy in Belfast, Ireland; to finding a huge audience for his loveable stories; to what led him to his enormously clever found painting; to his collaborations with U2, TED, Colette, and Apple, to his newest meditative dipped painting performances. 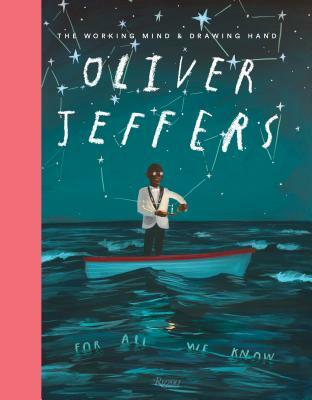 Oliver Jeffers is a fresh canvas for his imagination, and includes a pass through his most popular work, never-before-published illustrations and art, and a look into his more personal world of sketchbooks and doodles. Oliver's own story, infused with the whimsy and joy his work is famous for, is must-have not only for current fans of Oliver Jeffers's picture books, but also new fans, art lovers, and bibliophiles both young and old. Oliver Jeffers is an award-winning artist, illustrator, and writer. his work has been exhibited in The Brooklyn Museum, Berlin, Dublin, London, Paris, Sydney, Washington, DC, and Belfast. Bono is a musician, humanitarian, and cofounder of U2. John Maeda is an artist, designer, and technologist. Sharon Matt Atkins is the director of curatorial affairs at the Brooklyn Museum. Sir Quentin Saxby Blake, CBE, is an English illustrator, and children's writer perhaps best known for illustrating the books of Roald Dahl.